The ITA Software blog is now the Google Travel Blog. Planning trips is fun and exciting, and ideas for where to go on your next adventure can strike you when you're in the most unexpected location. Last week I met a friend for coffee, and he told me about his recent trip to Maui. His story and photos inspired me and I immediately made a note to myself to check flights to Hawaii at home. Since we launched Flight Search back in September, we’ve been hard at work improving the features, increasing coverage and making it easy to find flight results directly from google.com on your desktop. Starting today, we're also making it easier to find flights departing from the US on your mobile device. 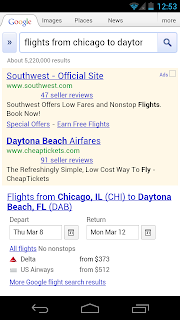 For example, when you search for [flights from Chicago to Daytona Beach] you’ll see a table that shows available flights, including duration and prices. 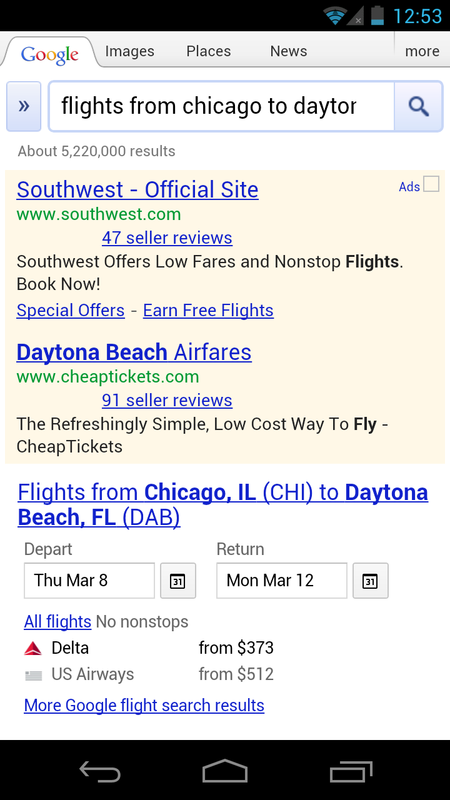 You can adjust dates on the page, or click any flight to further research and book your trip. 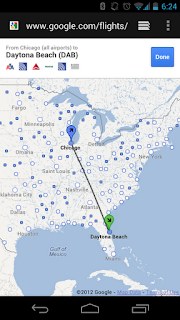 Discover places to go on a map - see ticket prices for various destinations by surfing the map. 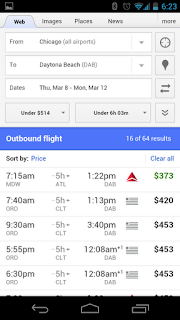 You can filter by price, airline, or flight duration. 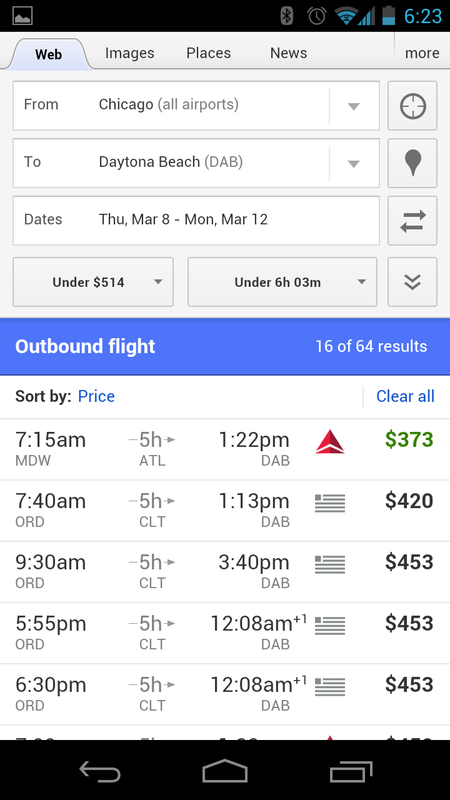 Find the best time to go - Click the calendar icon to see what dates will get you low prices. The feature is available on Android and iOS devices. To learn more about the Flight Search feature, see our tips at http://www.google.com/insidesearch/flights.html.